Something about Philip Glass’s Music with Changing Parts brings to mind Torgo’s theme from Manos: the Hands of Fate. That is not a criticism. In fact, it is another reason why it works so well as the soundtrack to Quentin Dupieux’s latest mind-trip. Reality with get twisted up and bent over double in Dupieux’s ironically titled Reality (trailer here), which opens tomorrow at the IFC Center. Her name is “Reality” and her hunter father just bagged a wild boar. Nobody believes her, but she knows she saw a blue VHS tape pop out of its stomach while her Pops was removing the entrails. She will duly retrieve that tape, but the director filming her story will take his sweet time before he lets watch it. His name is Zog and he is driving his French producer Bob Marshall to distraction with his cost-overruns. Marshall is the decisive type. He is fully willing to fund Jason Tantra’s horror movie if he can produce the perfect groan of misery to express its essence. In between his groan sessions, Tantra works his day job as a camera man for a cooking hosted by a man in a rat costume suffering from phantom eczema. All that scratching is starting to turn viewers against him. Frankly, the viewing experience can be trying in Reality, as when Tantra accidentally takes his wife to see his film before he starts making it. Rather upset with the sound mix, he tries to stop the screening, so he can fix it in the future. Then things start getting strange. As weird as Dupieux’s first act undeniably is, it is nothing compared to the lunacy that follows. Dreams and films will interrupt and fold back into each other, as each strange subplot doubles back and refers to itself. Edited by Dupieux (a.k.a. Mr. Ozio), Reality has an extremely complex structure mere mortals could not even begin to diagram. Granted, Reality lacks the warmth and sweetness that made Wrong such an unexpected pleasure, but it is still a blast to watch Dupieux juggle an infinite number of balls in the air. Each new reverse is a thing of beauty onto itself. It is easy for actors to get overwhelmed in such an auteurist spectacle, but John Glover gives one for the ages as the supremely confident Zog. 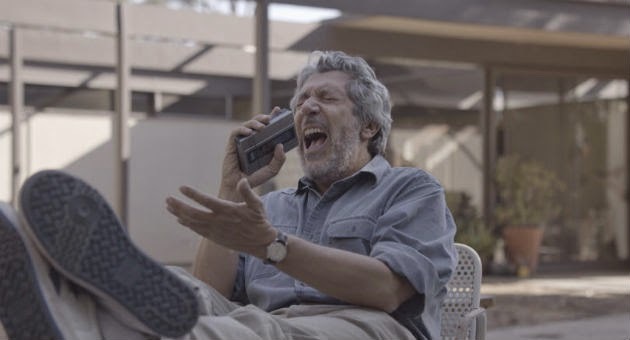 Alain Chabat’s Tantra is like an everyman from an alternate universe (and maybe he is), while Napoleon Dynamite’s Jon Heder really looks like he is suffering from a nasty rash in that rat suit. By now, you really should know within a 99.99 degree of certainty whether Reality is your cup of tea or not. If you’re not sure, go anyway, because part of Reality’s subversive fun is watching other audience members getting confused and upset. 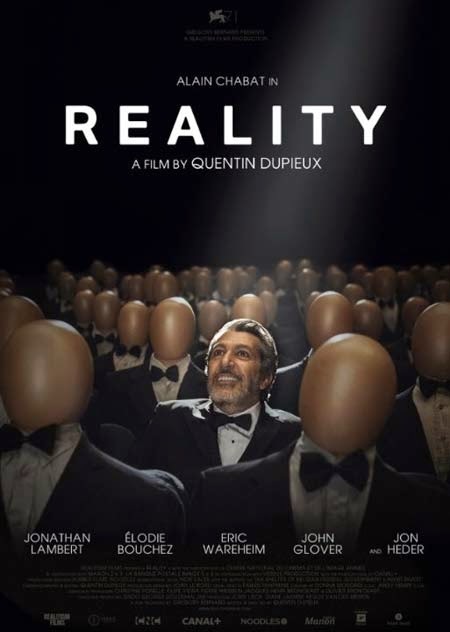 Highly recommended for Dupieux fans and connoisseurs of cult cinema, Reality opens tomorrow (5/1) in New York, at the IFC Center.